Please check the nearest Heated Pools in Grünenbach or Contact us to ADD IT. It is absolutely free! Thanks to some new Swimming Pools submitted daily, Swimia.com is increasing day-to-day the number of stored pools. Please don't hesitate to make contact with us if you get any inaccurate or incomplete knowledge. 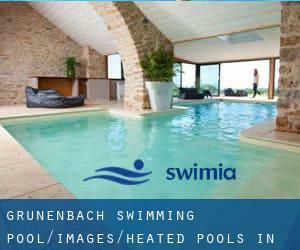 Looking for Heated Pools in Grünenbach? Several of them belong to gyms or sport centers which also offer lessons. Water sports are growing specifically in elderly population sectors who have suffered some kind of muscle or bone damage. Not all countries are the exact same, and swimming regulations and rules are changing from one country to a different. Swimming is really a sport for all ages. It helps young men and women to tone their muscles and grow wholesome and strong. Updated on 2019 Stadionweg 5 , Sonthofen , GERMANY (Postal Code: 87527). Swimmers like you reported 25 meters, 4 lanes, Indoors. Phone number and e-mail address are number for this Swimming Pool. Updated on 2019 Siebentischstraße 4 , Augsburg , GERMANY (Postal Code: 86161). This sports center gives 25 meters x 16-2/3 meters, Indoors. For this Pool, only phone number is number here. Updated on 2019 Johann-Strauß-Str. 1 a , Augsburg , GERMANY (Postal Code: 86199). Swimmers like you reported 25 meters, 5 lanes, 0.9 meters - 3.8 meters depth, 0.9 meters - 3.8 meters depth, Indoors. Unfortunately we do not have the e-mail address of this Pool, but we can give you the phone number. Updated on 2019 Josef-Dunau-Ring 2 , Asbach - Baeumenheim , GERMANY. Swimmers like you reported 25 meters, Indoors. Phone number and e mail address are number for this Swimming Pool. Updated on 2019 Gerhart-Hauptmann-Straße 3 , Noerdlingen , GERMANY. Swimmers like you reported 25 meters, 4 lanes, 1.2 meters - 1.8 meters depth, 1.2 meters - 1.8 meters depth, Indoors. Unfortunately we do not have the email address of this Swimming Pool, but we can provide you with the phone number. Updated on 2019 Aichacher Straße 7 , Friedberg , GERMANY (Postal Code: 86316). Swimmers like you reported 25 meters, 5 lanes, Indoors. Unfortunately we do not have the email address of this Pool, but we can provide you with the phone number. Updated on 2019 Wiblinger Straße 55 , Neu - Ulm , GERMANY (Postal Code: 89231). Swimmers like you reported 25 meters x 10 meters, 4 lanes, 1.4 meters - 1.8 meters depth, 1.4 meters - 1.8 meters depth, Indoors. Phone number and e-mail address are number for this Pool. Updated on 2019 Nikolausberg 5 , Oberguenzburg , GERMANY (Postal Code: 87634). This sports center offers 25 meters, 4 lanes, 1.8 meters depth, 1.8 meters depth, Indoors. For this Pool, only phone number is number here. Updated on 2019 Bahnhofstraße 42 , Marktoberdorf , GERMANY (Postal Code: 87616). Among all of the activities offered by the center, if you are interested in swimming you are going to enjoy 25 meters, Indoors. If you need to get in touch with this Pool, email address and phone number are both number. Updated on 2019 Talstrasse , Krumbach , GERMANY (Postal Code: 86381). Swimmers like you reported 25 meters, 5 lanes, Indoors. Phone number and e mail address are number for this Swimming Pool. Updated on 2019 Anton-Bezler-Str. 2 , Augsburg , GERMANY (Postal Code: 86199). This sports center offers 25 meters x 12.5 meters, 1.3 meters - 3.5 meters depth, 1.3 meters - 3.5 meters depth, Indoors. For this Swimming Pool, only phone number is number here. Updated on 2019 Verbandsschule Zusmarshausen , Zusmarshausen , GERMANY (Postal Code: 86441). Among all the activities offered by the center, should you be thinking about swimming you can expect to take pleasure in 25 meters, Indoors. Just in case you would like to contact this Pool before dropping by, we only know the phone number. Updated on 2019 Leonhardsberg 15 , Augsburg , GERMANY (Postal Code: 86150). Among all the activities supplied by the center, for anybody who is thinking about swimming you will get pleasure from 22.5 meters x 11.8 meters, Indoors. Just in case you desire to contact this Swimming Pool just before dropping by, we only know the phone number. Updated on 2019 Kantstraße 4 , Neu - Ulm , GERMANY (Postal Code: 89231). This sports center delivers 25 meters, Indoors. For this Pool, only phone number is number here. Updated on 2019 Beim Gymnasium / Auwald-Sportzentrum , Immenstadt , GERMANY (Postal Code: 87509). Among all of the activities supplied by the center, if you are enthusiastic about swimming you will enjoy 25 meters, 6 lanes (no lane lines), Indoors. Just in case you would like to contact this Swimming Pool prior to dropping by, we only know the phone number.